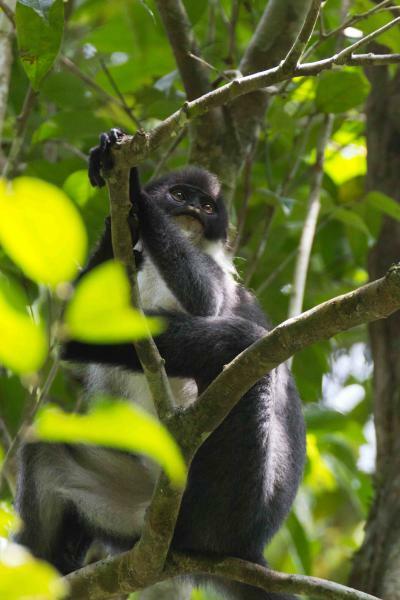 An international team of scientists has found one of the rarest and least known primates in Borneo, Miller’s Grizzled Langur, a species which was believed to be extinct or on the verge of extinction. 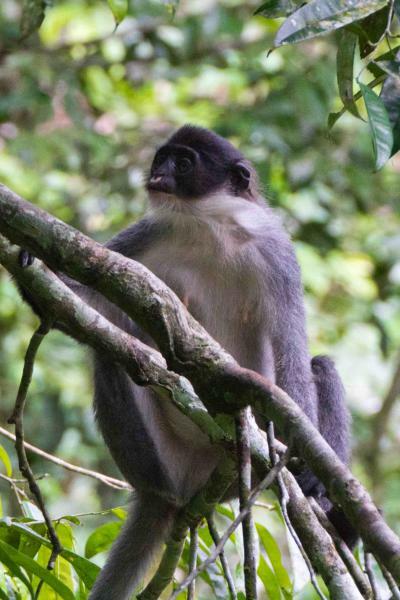 The team’s findings, published in the American Journal of Primatology, confirms the continued existence of this endangered monkey and reveals that it lives in an area where it was previously not known to exist. 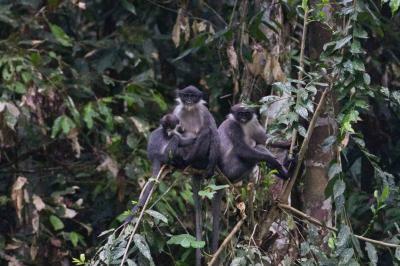 Miller’s Grizzled Langur (Presbytis hosei canicrus) is part of the small primate genus Presbytis, found across Borneo, Sumatra, Java and the Thai-Malay Peninsula. In Borneo, P.h. canicrus is only found in a small corner of the county’s north east and its habitat has suffered from fires, human encroachment and conversion of land for agriculture and mining. The team’s expedition took to them to Wehea Forest in East Kalimantan, Borneo, a large 38,000 ha area of mostly undisturbed rainforest. Wehea contains at least nine known species of non-human primate, including the Bornean orangutan and gibbon. By conducting observations at mineral licks where animals congregate and setting up camera traps in several locations, the expedition confirmed that P. h canicrus continues to survive in areas west of its previously recorded geographic range. The resulting photos provide the first solid evidence demonstrating that its geographic range extends further than previously thought.